Our next stop on our western Europe road trip would bring us through the middle of France. The previous day took us on an exciting adventure to the Top of Europe to see Jungfrau and then explore Bern, Switzerland. By the morning we were on the road again, and today was one of our longer driving days. 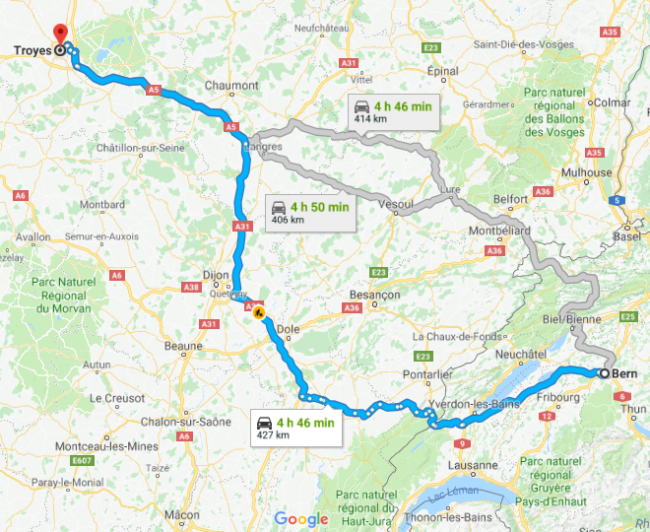 From Bern, Switzerland to Troyes, France is almost a 5 hour drive, so we planned the first half of our day around driving. 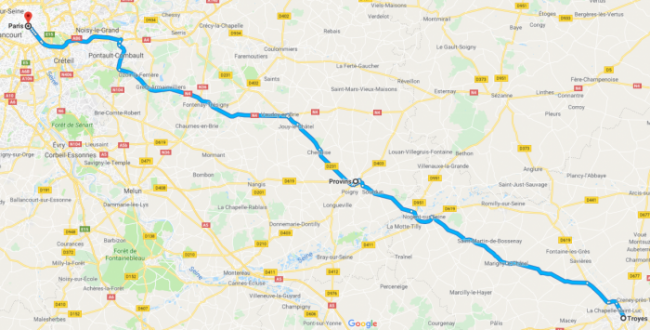 We had looked up a few points we could possibly stop at along the route, but to give us more time in Paris and in Troyes, we decided to just stick to the drive and finish off this driving leg as quickly as we could. This was the longest driving segment of our route, but even so it wasn’t bad. We were able to get to Troyes by mid-afternoon and walk around to see the town and get settled into our Airbnb before night hit. 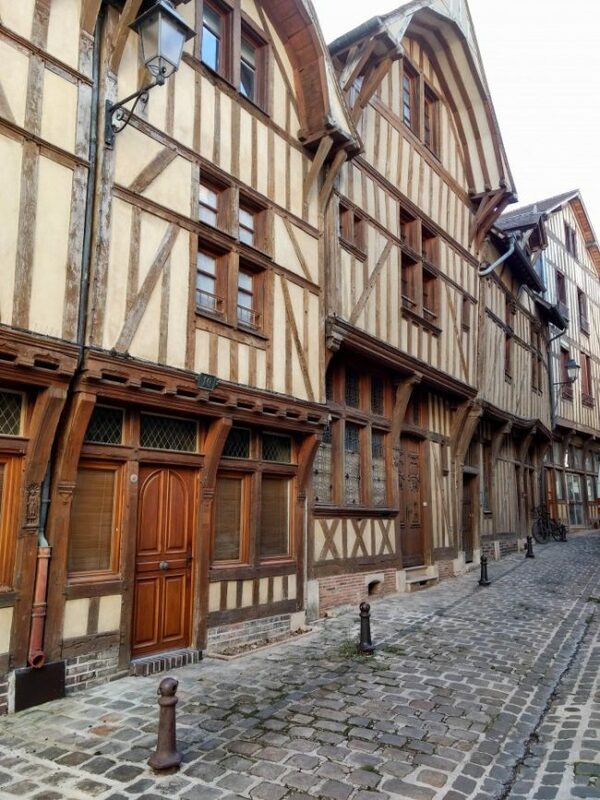 Troyes is a really cool city that has all of these timber built homes throughout. It’s a fascinating city to walk around. We really enjoyed the architecture and unique buildings and of course the cobblestone roads! 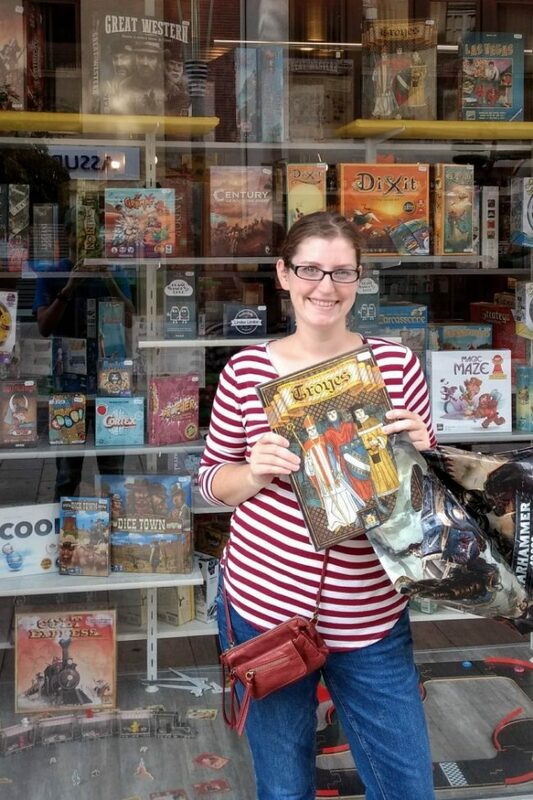 While walking the streets we happened to find a board game stores! If you know me at all, you’ll know I love board games more than just about anything else. We had to sneak inside. It was really fun trying to communicate and pick out a game with the store employees that don’t get too many tourists their way. They helped us find a game that had directions and game pieces in English so we’d be able to play without problems. By chance, we found a game called Troyes and just knew we had to get it! What a perfect souvenir from the town we were in but a game named after the place! It may have helped sway me seeing that Troyes is in the Top 100 ranked games on Board Game Geek. 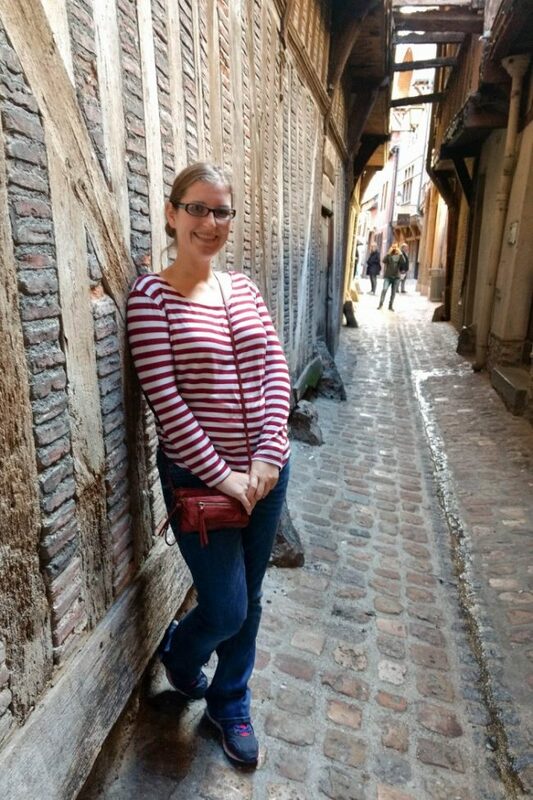 By chance, we happened down a famous street – Ruelle Des Chats (or the Cat Road) on our way to find dinner. We had read reviews for Chez Felix and had an amazing dinner in a beautiful and scenic place that was definitely a highlight of our trip to Troyes! After dinner, we headed back to our flat for the evening. We’d have another couple of short legs to drive the next day on our way to Paris. 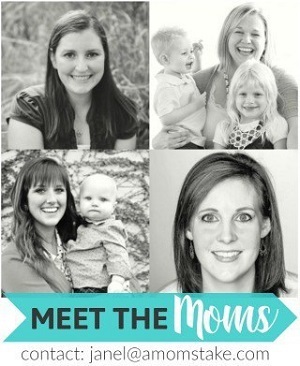 We took advantage of the shorter driving day to sleep in and relax, which was so nice! 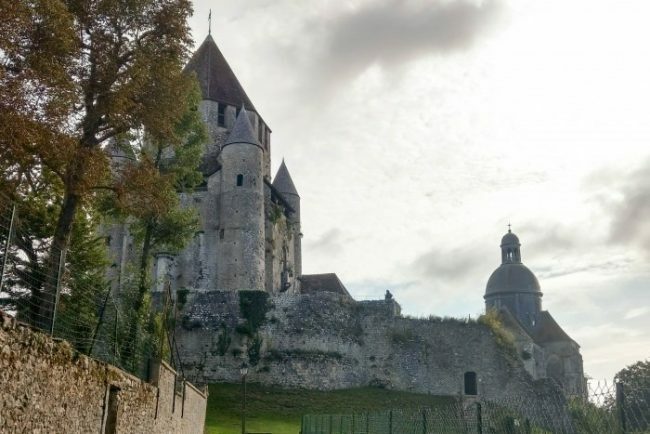 Then, it was back in the car a quick hour and 15 minute drive to Provins. It’s a perfect mid-way stop on your way to Paris and a really fascinating medieval city worth a stop! 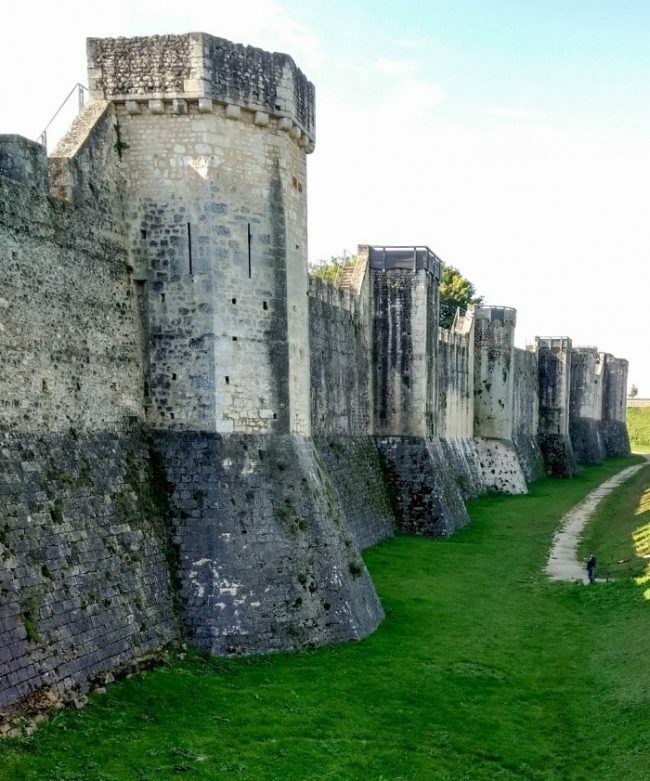 Provins is filled with so much history with the ramparts and fortified gates and Cesar tower built in the 12th century with working bell towers. We took our time exploring around the town and walking along the walks. It was so fascinating to be able to look out from atop the walls to see the countryside all around and imagine what life would have been like here hundreds of years earlier. While up in Cesar tower we headed up to the bell tower, which is still in operation! They happened to go off while we were up there and it was SO loud!! 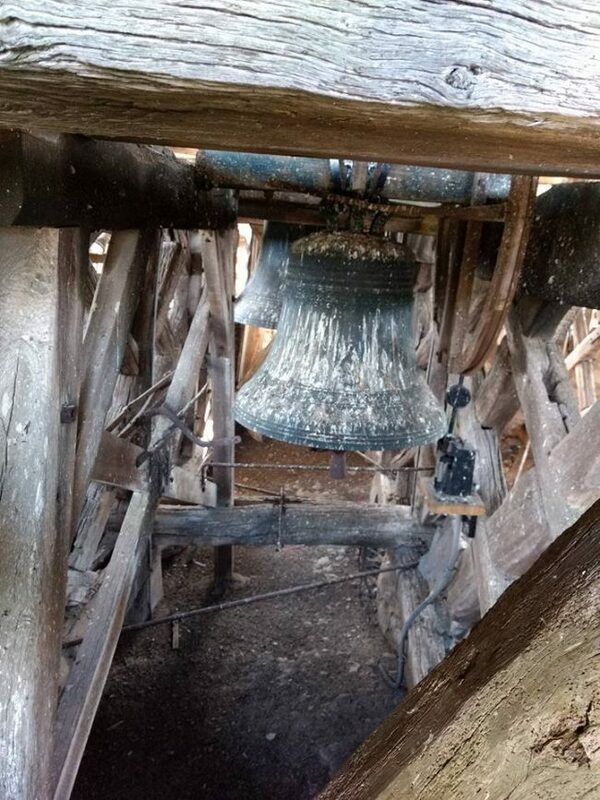 It was really neat to be able to see inside the bell tower and the view from the main tower itself out to town below. Bonus points – if you know the reference. I didn’t have a clue, and completely missed the reference to Monty Python and the Holy Grail. Either way, it made my husband chuckle at his attempt to recreate the scene, and my complete ignorance. In Provins you have just over an hour to Paris. 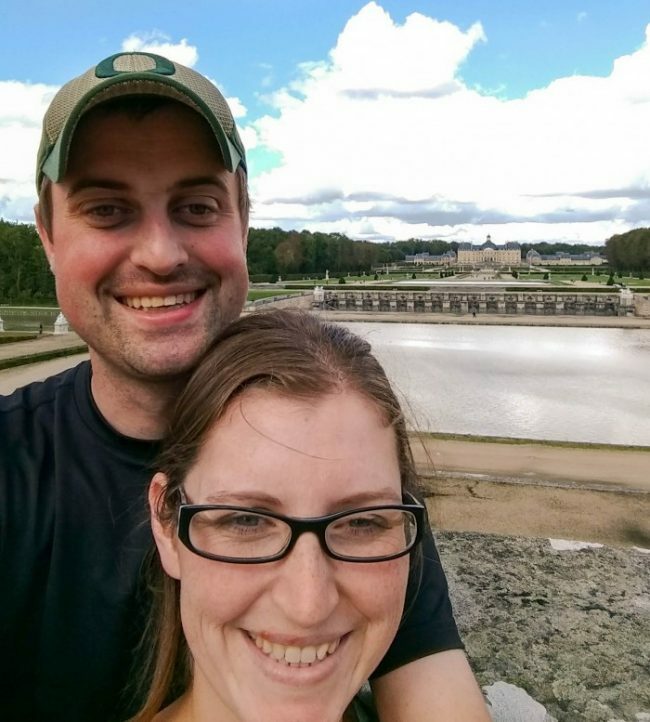 Since it was early enough in the day, we decided to detour to stop to tour the expansive Chateau de Vaux le Vicomte. The estate includes over 1,200 acres! 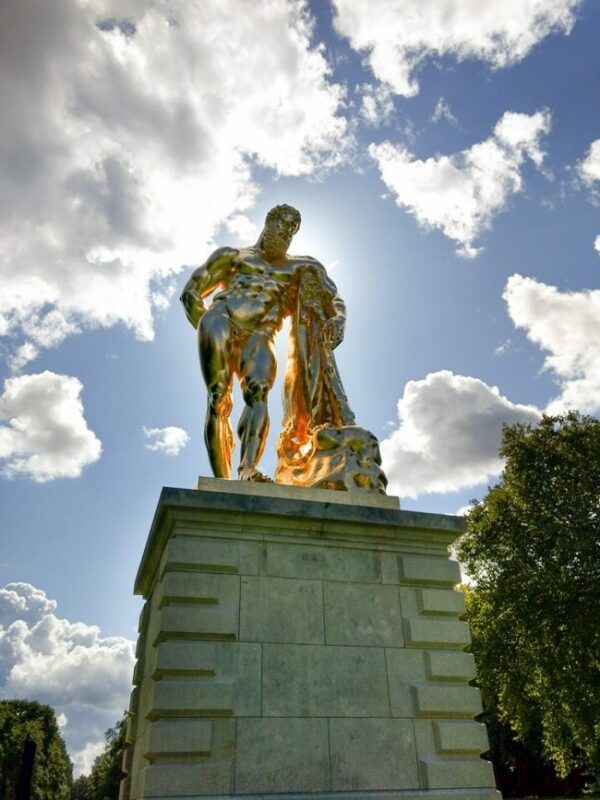 It is a massive property with so much to see both inside the chateau and walking through the gardens. This is a view from the platform at the far end of the gardens, but by no means the end of the property, looking back at the chateau. It looks so small from here, but it is a truly massive home. 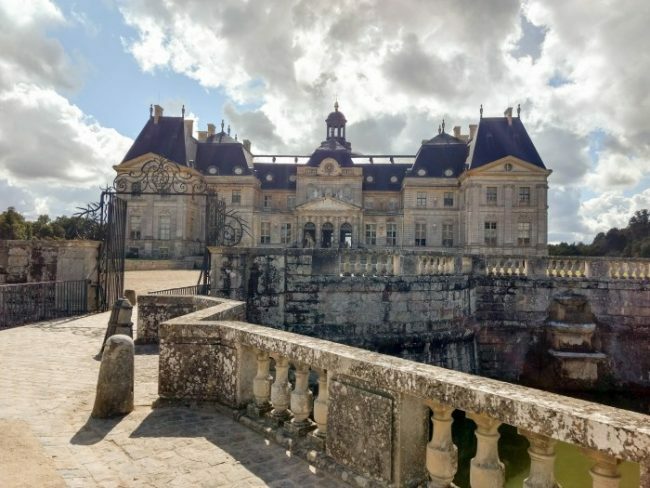 It was pretty amazing to learn about the history of the original home owner, Nicolas Fouquet, who was charged and served life imprisonment under the ruling of King Louis XIV for a false embezzlement charge. To go from the height of his success and all that he accomplish to such an outcome was so fascinating to learn about, and quite tragic! Still, we enjoyed our visit to explore the vision and expansive design he had created for his property and especially the gardens. He even had an enormous side building for all of the carriages and stables that was larger than you can even imagine. 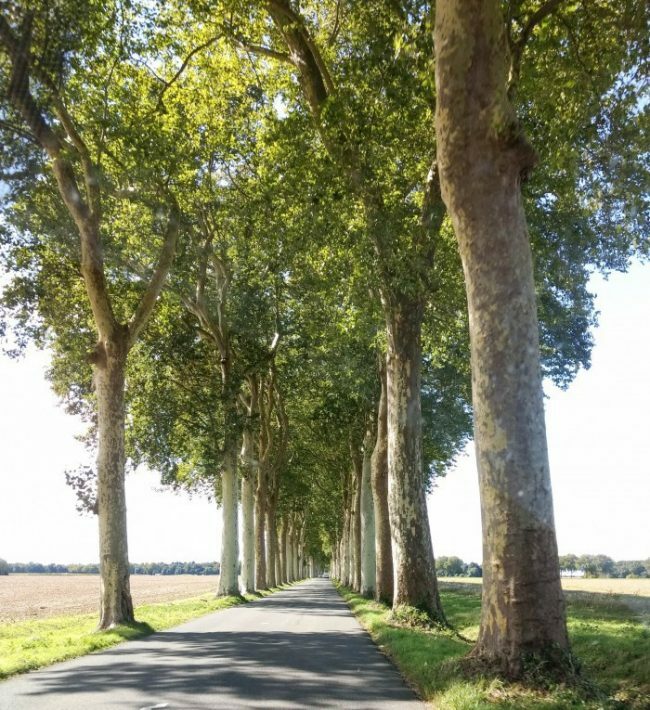 We left behind the property following this beautiful tree lined road on our way to our final destination – Paris! 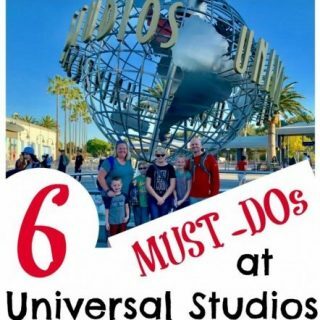 We would head right to the rental car return and spend the last few days using public transportation and walking while we explored Paris, France. 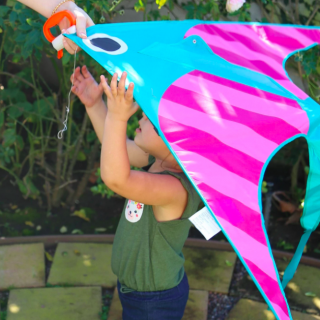 Previous Post: « 5 Reasons to Start Swim Lessons for Kids Today! Looks like you had a wonderful trip. I love the days on vacation when you decide to relax and not rush out the door for the next adventure. Looks like y’all had a blast! Good for you. I really want to explore more of France and a road trip like this looks like the perfect way! 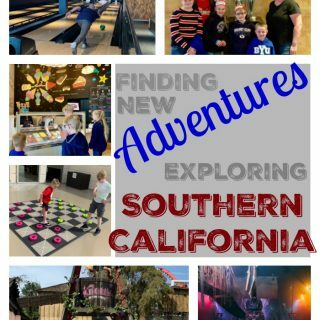 Beautiful pictures and It’s so fun to follow along on your trip. How fun to find the board game, love that that kind of souvenir, something you can use and enjoy. 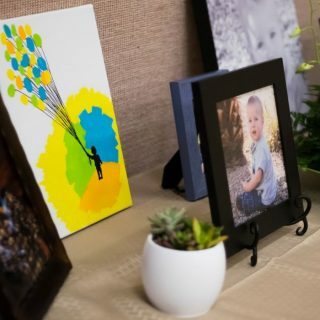 Your pictures are incredible! They truly capture the adventure you went on. I love the cobble stone roads!